Using the LaStone principals and techniques you will revel in relaxation as warm stones melt the muscles along your spine and cradle your palms as the weight of your head rest's on a warm or cool oblong stone. Your body is then massaged with smooth basalt stones that retain heat, cool marble stones are used to alleviate inflammation and bring about balance. This exchange of temperatures is a deep healing treatment, is detoxifying and is an extremely rejuvenating treatment.  This is a complete full body, all stone massage which, is a constant flow of heated stones and cool marble stones. Using cool marble stones for acute injuries or strains in the muscle tissue. Is excellent for inflammation or, if the body tends to over-heat. Using deep tissue and neuro-muscular techniques. I will warm the muscle tissue with warm basalt stones then, incorporate cool marble stones for a deeper level of healing.